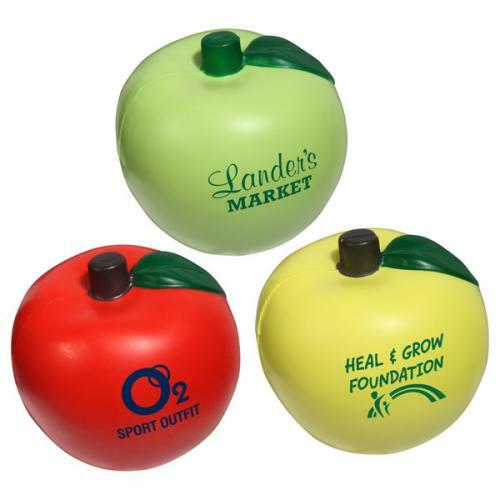 Our Apple stress relievers balls are a great promotion to hand out at industry shows, health fairs and school events. You can custom imprint this apple stress ball with a message or clever phrase. The apple stress reliever is meant to take a crunch.